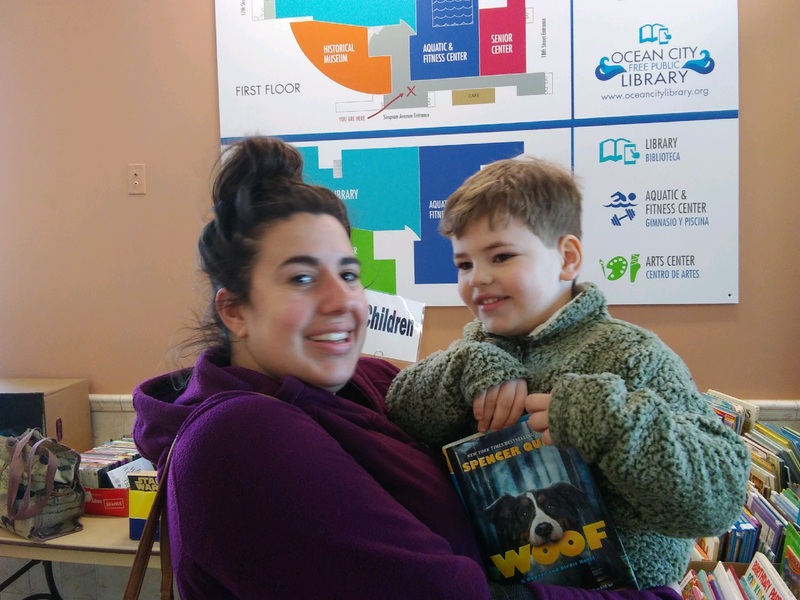 Toni Gheen, of Ocean City, and her son, Charlie, 4, make a morning of it at the book sale at the Ocean City Free Public Library. Toni Gheen, of Ocean City, brought her 4-year-old son Charlie to the spring book sale at the library Saturday. Gheen noted that there were so many children’s books to choose from. Gheen laughed and Charlie’s newest selection was added to the many others they already had bought for their library at home. Hardbound books, paperbacks, fiction, nonfiction, children’s titles and even audio books and CDs were available at the event in the atrium of the library. 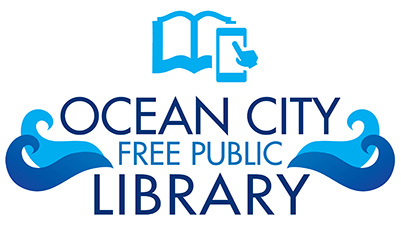 The sale, held Friday and Saturday, was sponsored by the Friends and Volunteers of the Ocean City Free Public Library. 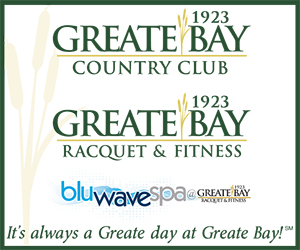 All of the proceeds benefit the library. Jenna Vincent, of Wilmington, Del., and her daughter Avery, 7, had fun searching through boxes filled with a wide assortment of children’s books. Avery flipped through the pages of a couple of books and giggled. The little girl is involved in pony camp back home. 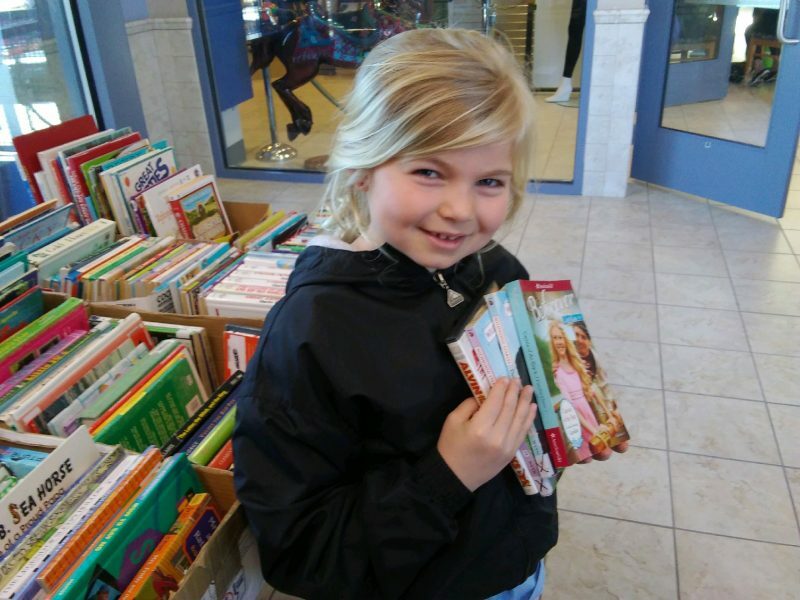 She made her selections — books on horseback riding and an “Alvin and the Chipmunks” DVD. Avery’s wide smile said it all when it came to her choices. Avery Vincent, 7, of Wilmington, Del., proudly displays her selections. Many of the books sold at the event were donated by groups or individuals, while others were taken out of circulation from the library. 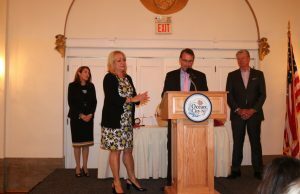 Library Director Karen Mahar said Friday that the library is fortunate to have the Volunteers and Friends supporting what they do. Babs Stefano, a Historical Museum Board of Trustees member, volunteered to help out at the sale. She sat at the checkout counter and helped people with their purchases. “People are coming up with stacks of books,” Stefano pointed out. 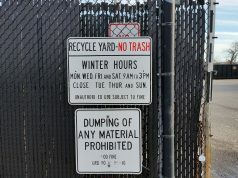 She said it was fun to watch the looks on people’s faces as they walked around with piles of books filling their arms. The book prices ranged from 50 cents to a few dollars. Customers look through tables of books, CDs, DVDs and audio books during the spring book sale. Patti Phillips, of Volunteers and Friends of the Free Public Library, said she couldn’t have been happier with the turnout and the merchandise flying off the tables. Phillips, along with Elaine Wilson and Debbie Moreland, chairs the library’s book sales. She admitted a lot of work goes into making them successful. The city helps out by supplying tables and setting up and taking down the tables. 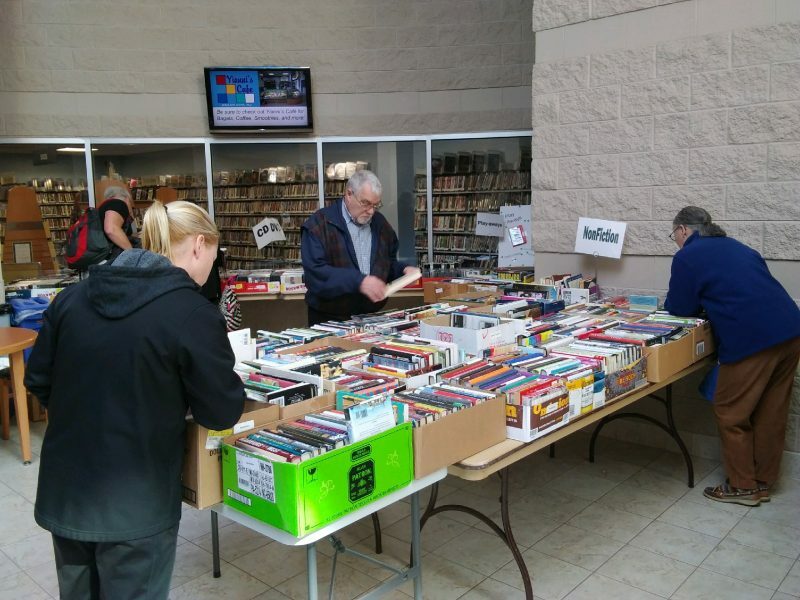 This weekend’s sale was one of several the Volunteers and Friends do at the library each year. 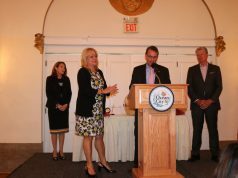 The others will be held June 21-22, July 19-20 and Aug. 10. Classics were a real hit throughout the two-day sale, Phillips said. “They still are big sellers,” she noted. Wilson added that the volunteers try to keep the children’s books priced low. Volunteers said judging by the steady stream of customers at the sale, it seemed apparent that people still like a good book. 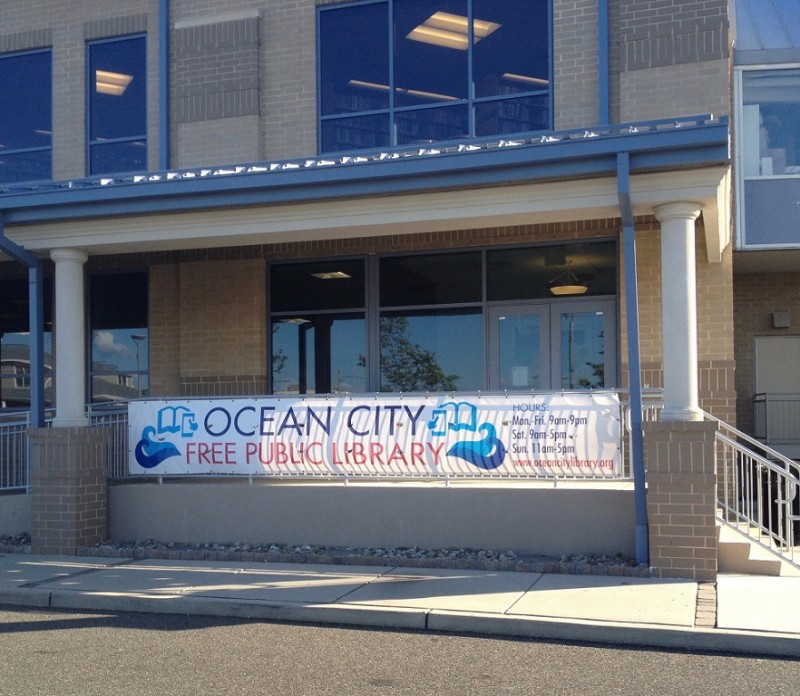 The Ocean City Free Public Library is located at 1735 Simpson Ave.